Peter Levine, a former staff director in the Senate Armed Services Committee, has been nominated to serve as the Defense Department‘s next deputy chief management officer, FCW reported Tuesday. Sean Lyngaas writes Levine served on SASC between 1996 and January 2015 and has also worked as a general counsel to Sen. Carl Levin and to the Senate Government Affairs Subcommittee on Oversight of Government Management. 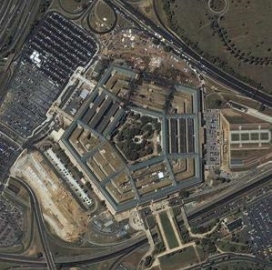 Congress created the DCMO position in 2007 to coordinate department-wide business practices at the Pentagon, according to FCW. Elizabeth McGrath became the agency’s first DCMO and held the role from July 2010 to November 2013. David Tillotson succeeded McGrath on an interim basis when she left the agency after a 25-year career there.